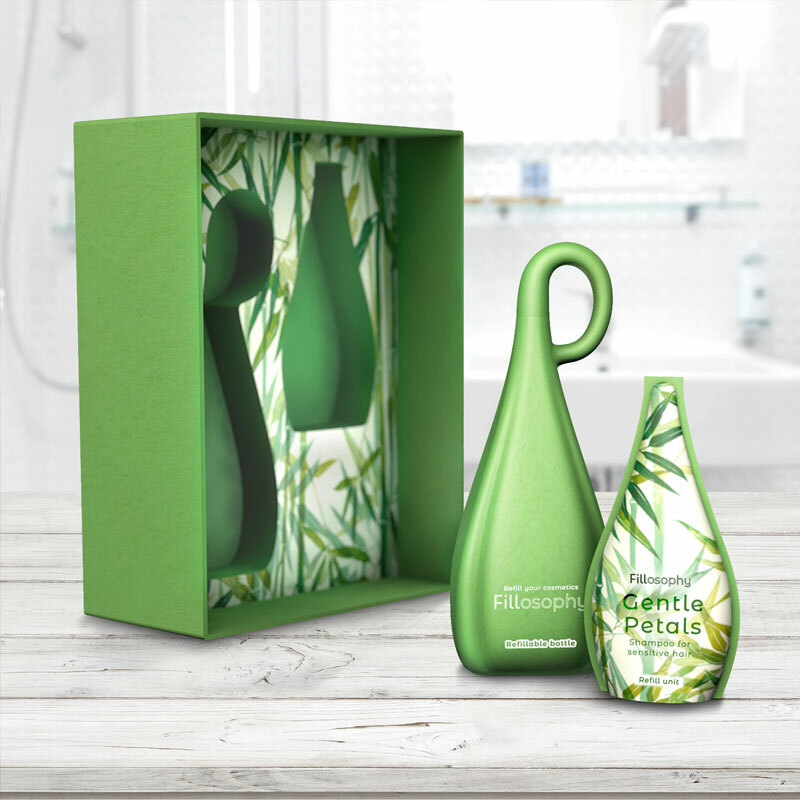 TOWARDS A MORE SUSTAINABLE CONSUMPTION OF PACKAGING FOR PERSONAL CARE PRODUCTS. As an alternative to disposable plastic bottles, Fillosofy offers a refillable packaging solution for personal care products. 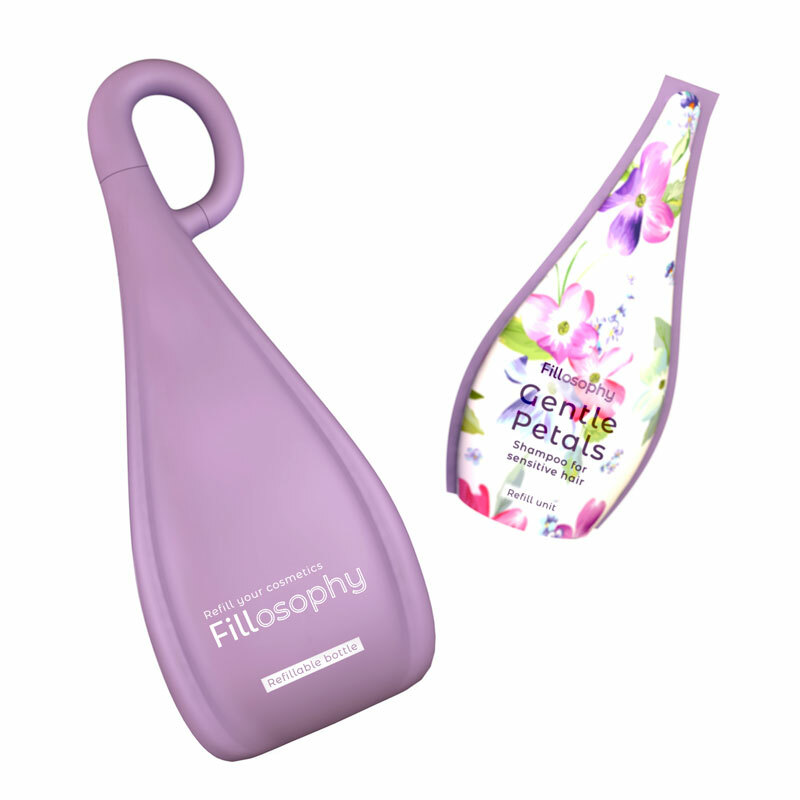 Fillosophy kit includes a refillable bottle and a refill unit. 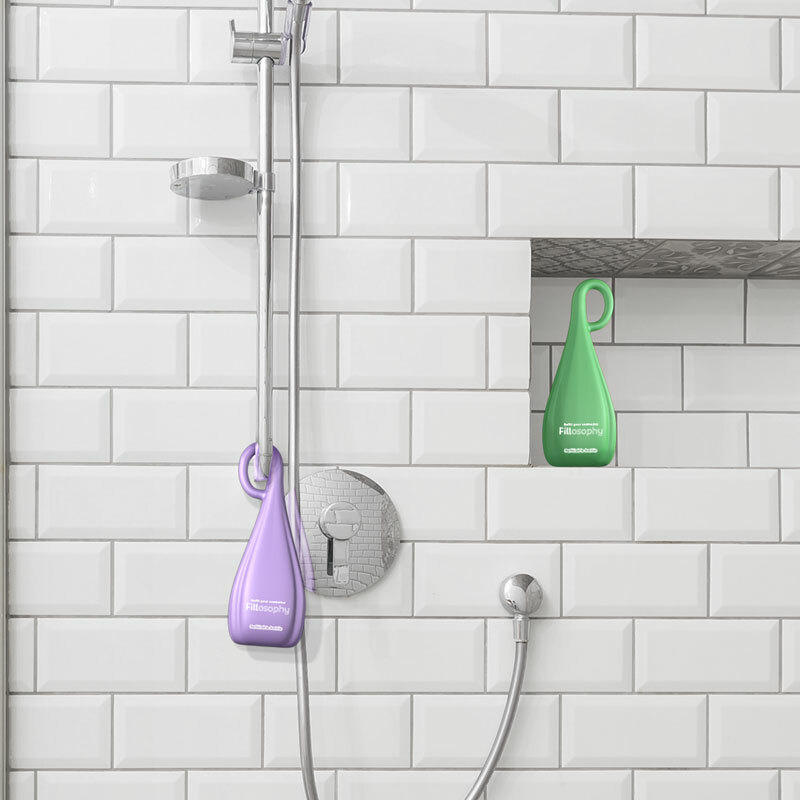 Fillosofy includes a refillable bottle for personal care products such as shampoo, shower gel and conditioner. This bottle would be a one-time purchase. It would be refilled with refilling units which can be bought in store or online. Fillosofy’s refill units are used to refill the bottle. They are pouches made from recyclable plastic. This reduces the amount of plastics used in packaging, as a pouch does not require as much plastics as a plastic bottle. Whenever the content inside the bottle runs out, the user orders new refill units. 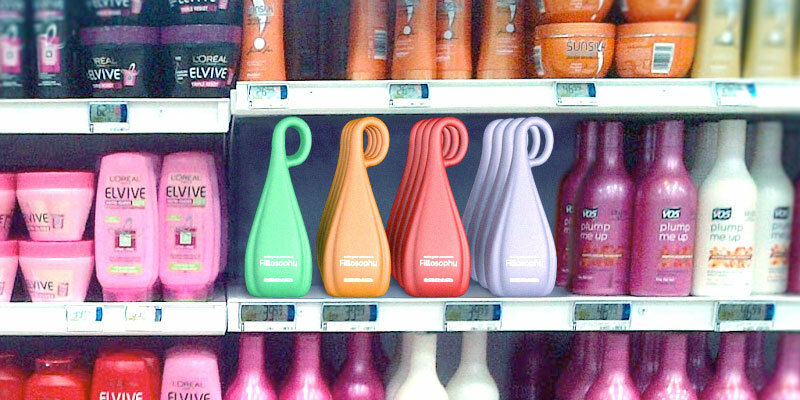 Never throw away your shampoo bottle after only one use; refill it! Our plastic consumption has increased 20 fold in the past 50 years. This happened due to the widespread use of disposable plastics. Disposability is at the core of our unsustainable consumption patterns. Disposable plastic packaging is causing an irreversible impact on the environment as they reach fragile ecosystems. Within the personal care sector, every year in Europe we use around 22.3 billion plastic bottles for our shampoo, conditioner, shower gel. Alternatives to disposable plastic packaging are not that widespread and expensive, so disposable plastic packaging remains the first consumer’s choice. A usual European citizen consumes 36 bottles per year. If 1% of the European population would use 10 bottles per year, the equivalent of 140,000 BOEING would be saved per year. In the long term, Fillosofy aims at educating the consumer to reduce his consumption of plastics and avoid throwing away plastic packaging, but instead re-using it, extending the lifespan of plastic packaging.